Please note, access to Stonehenge for Winter Solstice is free. Parking charges apply. 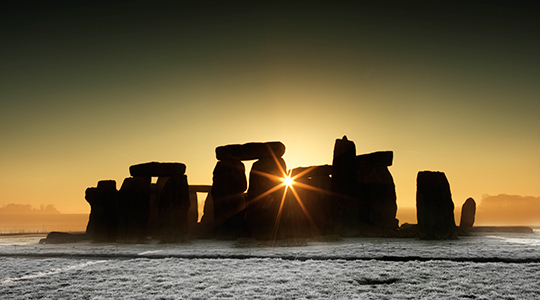 Parking for Winter Solstice is very limited and we cannot guarantee that you will be able to park near to Stonehenge. If you are planning to travel by car, wherever you park there may be a 30 minute walk to the Monument. We strongly recommend car sharing or using public transport. Travel by bus – Salisbury Reds buses will be running from 06:30 from Salisbury (New Canal, Stop U and Salisbury Rail Station). Check timetable. Parking and parking charges Limited parking is available in the winter solstice car parks, which will open at 5.30am on the 21st December. As you approach Stonehenge, there will be signs to direct you to the car park – please ensure that you follow these. Please do not arrive early as there is no waiting on the roads in the area and you will be moved on. Parking may involve a shuttle journey to the visitor centre and wherever you park there may be a 30 minute walk. The car parking charge is designed to encourage people to car share and will help the charity offset the costs of providing additional staffing and lighting in the car parks. Please note, car parking charges apply to all users of the Winter Solstice car parks, including Blue Badge holders, and members of English Heritage and National Trust. Motorists have access to a park and ride shuttle from the off-site solstice car parking to the visitor centre. A shuttle will also be provided between the visitor centre and Stonehenge, however visitors are asked to note that disabled people have priority on this bus and should therefore be prepared for a 30 minute walk, in low light, from parking areas to the monument. We cannot guarantee entry to the car parks and recommend coming by public transport as cars will be turned away when the car parks are full. Access to Stonehenge for solstice is subject to the Conditions of Entry – please read these before deciding whether to attend. Stonehenge is in a field on Salisbury Plain and the weather in December will be cold and may be wet and windy. Even if it isn’t raining, the ground will be wet from the dew. There may also be frost. Please be prepared for a 30 minute walk (in low light or darkness), from the bus drop off and from parking areas to the monument. You are strongly advised to wear warm and waterproof clothing and footwear and bring a torch with you. Please note that there are no other amenities or facilities available to visitors until the Monument Field opens. Please visit the official English Heritage website for full details. Solstice Events are offering their usual small group Winter Solstice guided tour from London and Bath, ideal if you do not have your own transport and want to learn more about the history and mystery of Stonehenge and the surrounding landscape. Visit their website to book. Archeologists working near the Stonehenge World Heritage Site have discovered important new sites that rewrite the Stonehenge landscape. Some sites predate the construction of Stonehenge itself. The remains, found at Larkhill and Bulford, were unearthed during excavations ahead of the construction of new Army Service Family Accommodation. The dig at Larkhill has found remains of a Neolithic causewayed enclosure – a major ceremonial gathering place some 200 m in diameter, and dating from around 3650 BC has been found. About 70 enclosures of this type are known across England, although this is only the second discovery in the Stonehenge landscape, with the other further to the north at Robin Hood’s Ball on the Salisbury Plain Training Area. In Wessex they occur on hilltops and along with long barrows are some of the earliest built structures in the British landscape. They were used for temporary settlement, as ceremonial gathering places, to manage and exchange animals, including the first domesticated cattle and sheep and for ritual activity, and disposal of the dead including by exposure. The Larkhill enclosure has produced freshly broken pottery, dumps of worked flint and even a large stone saddle quern used to turn grain into flour. The Neolithic period saw the first use of domesticated crops and this find provides evidence of this. Early farming would have caused significant localised change across the landscape as small fields were created for the first time. Human skull fragments were also found in the ditch, probably reflecting ceremonial practices and religious belief. The Larkhill causewayed enclosure is around 700 years older than Stonehenge, and is part of a landscape that included long barrows and cursus monuments. Long barrows may have served as markers within the landscape, often commanding key positions that overlooked areas of downland and only occasionally containing burials. Cursus monuments are possible processional ways, one of which known as the `Lesser Cursus` appears to align on the new enclosure at Larkhill. The Greater Cursus, an earthwork nearly 3 km in length, is the longest structure. It connects and divides parts of the landscape, and separates the Larkhill causewayed enclosure from the place that became Stonehenge. The eastern end of the cursus terminates just short of the large Amesbury 42 long barrow. The people who built the causewayed enclosure are the ancestors of the builders of Stonehenge and were shaping the landscape into which the stone circle was placed. Their work shows that this was a special landscape even before Stonehenge was constructed. People were already living and working within what we now call the Stonehenge landscape and they were building the structures that would culminate in the Stonehenge complex of stones and earthworks. The Larkhill site shows that they had the social organisation necessary to come together to build significant earthworks and the resources to support the work, as well as the people to carry it out. The offerings in the ditches also show the rich religious life they had created. While part of the site has been investigated the majority of the monument remains undisturbed within the Larkhill Garrison. At nearby Bulford archaeologists have found further evidence of prehistoric activity. Although henges are well-known across the landscape, Bulford has a double henge, the only one known in Britain. Each henge is formed by an open space enclosed by a ditch. The earliest phases were created around 2900 BC with the enclosures formed by ditches dug in segments with openings to the north. This form was altered when both were enclosed within further ditches in the Early Bronze Age (2000 BC), perhaps showing that their function changed or because they had been closed down. From one of the Bulford henges a skull from a large dog or wolf, maybe a working companion, a trophy from the hunt, or even a totemic symbol, was recovered. Visitors to Stonehenge are invited to step into the prehistoric past at Stonehenge this winter with fun and revealing demonstrations of ancient technology, taking place the second weekend of every month from November to March. To launch the season of prehistoric technology demonstrations Corwen Broch musician and ancient instrument maker will bring the sounds of prehistoric Stonehenge to life as he shows us how to make musical instruments from natural materials. In December, our popular ancient textile demonstrations return with Sally Pointer and Gareth Riseborough who will be showing visitors how to make clothes, cord, baskets and other items out of nettles, grass and leather. The January Bronze Casting event provides the perfect example of how prehistoric people took a huge step forward 4000 years ago when they started working with bronze – to create tools and valuable artefacts signifying wealth and status. This step from the Stone Age to the Bronze Age was also characterized by the rearrangement of the blue stones at Stonehenge, Bronze Age barrows being built in the landscape and depictions of bronze axes and daggers being carved onto the surface of the stones. Neolithic bush craft expert Guy Hagg joins in February to share Neolithic life-skills, from fire lighting, tool and weapon making, using bone, antler and stone and game preparation and early cooking methods. Flint knapping expert, craftsman and re-enactor James Dilley returns to Stonehenge in March to demonstrate the prehistoric skill of flint knapping – the core technology that more than any other may have helped our ancient ancestors survive in a harsh environment. During the winter, Stonehenge is open from 9:30-17:00 with last admissions at 3pm. All weekend demonstrations run between 10am and 4pm. Textile Demonstrations Sat 10 – Sun 11 December 10am – 4pm Sally Pointer and Gareth Riseborough will work with a variety of natural fabric crafts over these weekends - including cord making, twining, looped weaving, netting & leatherwork. 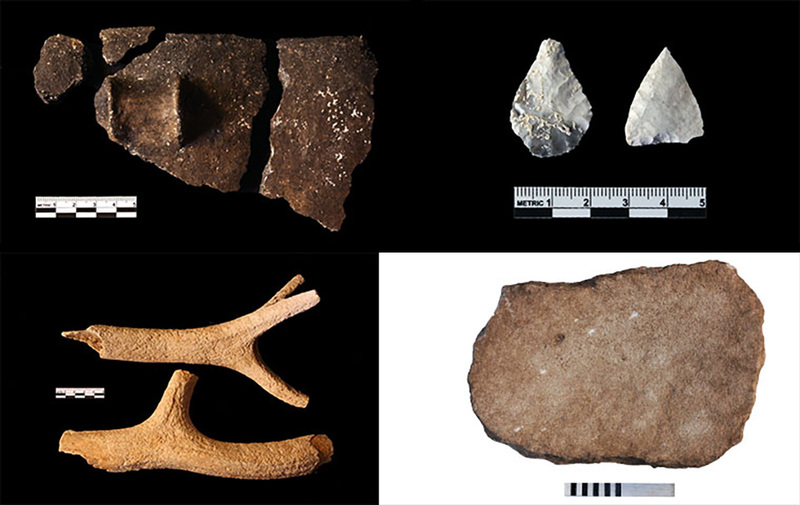 See bone and antler worked and discover how materials were used in the Neolithic period. 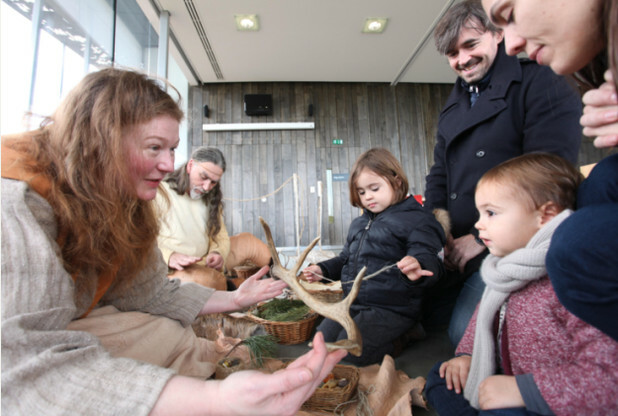 Neolithic Bushcraft Sat 11 & Sun 12 Feb 201710am – 4pm Guy Hagg demonstrates all things essential to Neolithic life, from fire lighting, game preparation using flint tools, early cooking methods to making weapons, bone and antler tools and the everyday utensils used at this time. Flint Knapping Sat 11 & Sun 12 March 2017 10am – 4pm See a flint knapper at work in the setting of Stonehenge's Neolithic Houses and learn how Neolithic stone tools were produced using authentic techniques and tools.